Life is a joy and a blessing, but it’s not always easy. 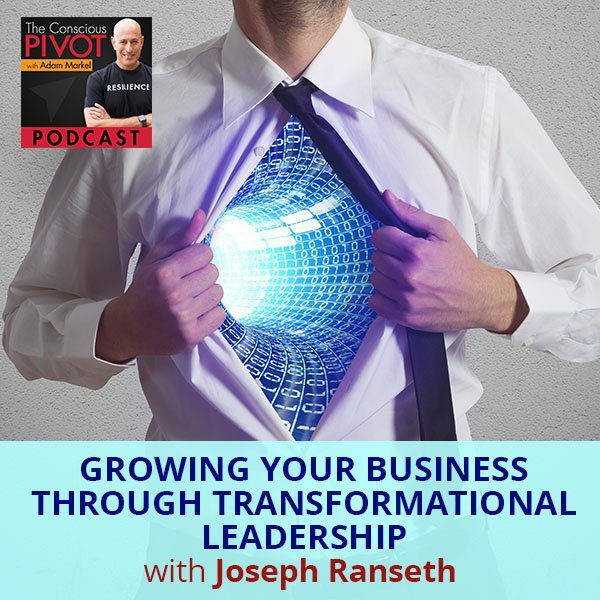 For professional speaker, best selling author and transformationist, Joseph Ranseth, realizing that purpose and meaning is more important than profit took a lot of pivots. He was successful in the internet marketing space before he got into transformational leadership. Under the mentorship of Dr. Stephen Covey, author of 7 Habits of Highly Effective People, he learned that his success depended on integrating the spiritual with the secular. Joseph advocates thinking of interactions with clients as creating “transformations” instead of “transactions”. Learn more about what transformational leadership and starting a movement involves, including having an army of advocates for your cause. I am as always jazzed to be here. I feel grateful in this moment, really blessed to be taking this breath and feeling your breath, feeling you as you’re taking your breath. I am experiencing that in this moment because we are connected in many ways that we are unaware of. Maybe we have some inkling about, but there’s this belief system and it’s my belief system, doesn’t have to be yours, that we are connected. It takes a bit of awareness and a bit of presence to feel it. Even though we can’t see each other, there is this deep connection between us and what a profound thing it is just to take breath. I remind myself of this all the time and every opportunity I get to remind other people of it, I do the same as we take a breath. Now, as we’re breathing in this moment, there are people who are taking their very last breath. That’s what makes this act of breathing sacred. It’s special, it’s important, and we get to do it together and that is truly a blessing for which I am profoundly grateful. I am also grateful to be spending time with a gentleman that I’m going to introduce you. His name is Joseph Ranseth. He’s a great man and somebody that I connected with through a friend. He said he’d be an incredible guest on this show. He has a great number of poignant stories to tell about his pivoting experience and where he is. We’ve got Joseph Ranseth. He’s a speaker, bestselling author, and coach. He helps people change their lives using the same blueprint that Gandhi and Dr. King used to change the world and he’s gotten a lot of media attention for his cause-centered movements that he started via social media, which we all know how powerful that is these days. He owns a digital marketing agency, is the Co-Chair and speaker coach for TEDx events. Happy to have you with us, Joseph. Welcome to the show. Thank you so much. I’m grateful and excited to be here to share this time with you as well as your audience. Share with us a little bit about yourself and what’s important to you. What are you passionate about? What are you working on? Anything else that you’d like to let us know about you? It’s interesting that you say that because I once ran a full day event and I had a number of people come up to me after the event and they said, “That was an awesome event, but one thing was missing.” I was like, “What was that?” They said, “You didn’t even introduce yourself.” Sometimes I feel that the message is more important than the messenger. Diving into the content is why we’re here and we get to know each other through the essence. The one other thing that I’m working on that I’m excited about is an event called the Global Influence Summit that I helped found. It’s an event full of authors, speakers, coaches, and other purpose-driven entrepreneurs come together for a three-day deep dive on how do we increase our reach and how do we increase our impact on the planet. It’s designed for people who have a message. They want to grow a business but the purpose, the meaning, and the impact is more important than the profit itself. How I got here has been a long journey and we’re going to talk about this a little bit through some of the pivots that I’ve made. I feel grateful to have been on the journey of business, but early on, I have gotten some advice from a mentor that put me on a path of realizing that our purpose here is much greater than the numbers in our bank account, that we can touch lives. Our legacy comes down to the lives that we touched as for who we become, not necessarily through what we acquire. Transformational Leadership: Our legacy comes down to the lives that we touched as for who we become, not necessarily through what we acquire. If you’re going to pick a mentor, that’s a good one to have. That’s wonderful advice. Life is a joy, it’s a blessing and it’s not always easy. This is pretty much everybody’s experience, at least. Would you share a little bit about your pivot journey? One of the questions that I’m often asked is, “You help people start movements. How did you get into that?” There isn’t a degree in school for starting movements. The guidance counselor told me to go into law, not necessarily starting movements. I started on a journey. I got into internet marketing in the late ‘90s and was fortunate to be in the right place at the right time and did some neat stuff. From a very early age, my heart was toward service. I can remember as a kid, I wanted to be like Jesus. I can remember learning about these great transformational leaders that changed the way that people saw the world. Somehow, I ended up on this path of business and marketing, which is often looked at as how do we maximize profit. While I was in the middle of all of this internet marketing, my heart was pulling me in another way. It ended up in this internal ping pong match between here’s what I do for money, but here’s what I would like to do for meaning. Here’s where I earn profit, but my purpose is calling me. I saw them at odds with each other. I went from this place of being an internet marketer to being an ordained minister and feeling like they were diametrically opposed to one another. This dichotomy was creating quite a bit of agony within my soul of saying, “Here’s what I do to keep the lights on, but here’s what I do to keep my light on.” They felt at odds with each other. It wasn’t until I got some advice from one of my earliest mentors, who was Dr. Steven Covey, who many will know wrote The Seven Habits of Highly Effective People. I haven’t found this advice in any of the books that I’ve read from him, but it really landed on me. He said, “Joseph, if you want to be successful, you need to learn how to integrate the spiritual with the secular.” It couldn’t have been more poignant for me because this battle that I was having was having those two at odds. By spiritual, I don’t necessarily think he meant religious, although he was a deeply religious man. Spiritual, he was talking more about purpose. You’ve heard the parable of the three stone cutters where the old man is journeying and he asks these three men he meets from the stone quarry, “What are you doing?” The first says, “I’m cutting stone. I’m getting calluses on my hands.” The next says, “I’m earning an honest day’s wage to support my family that I love.” The third stops and looks high to the heavens and says, “I’m building a cathedral to glorify the Most High.” We can do the same thing, but when it’s driven by a different purpose, it unlocks the power. I believe that that is the essence of spiritual. What is important to us? What’s the meaning? What’s the purpose? When we find that, that’s when we find that state of flow, that state of alignment, of knowing that we’re in tune with something that is meaningful to us. I believe that that’s where the greatest contribution in greatest service comes from. You came out of high school and a guidance counselor said, “Be a lawyer.” My guidance counselor didn’t tell me that, but all of that advice and I practiced law for eighteen years and much of that time, not purpose driven at all. I can resonate with what you said. My experience was certainly that I was doing what was required to keep the lights on in the home and all the responsibilities that I had financially, but not the light on. I wasn’t responsible to the light inside myself until my light was getting so dim on the inside that it scared me. It created anxiety and feelings of dread and tremendous fear inside of me that was unfamiliar that it got me. It just woke me up. That was part of my journey. Joseph, what was it like for you, at a certain point to get that advice from this great mentor? He says, “It’s the integration of the spiritual and the secular.” That you got it. Did you get it right away? Did you have to hit your head up against some pretty hard walls? Yes and yes. At one level it instantly resonated and it gave me hope that I didn’t have to play this ping pong game anymore. It took me several years after that before I found the answer to my inquiry of how do I integrate these things? I’m a marketer. As marketers, there’s the tactics and the mechanics of it, but good marketers understand how people make decisions. It’s a lot of the same skill set as counselors and therapists in knowing how people make decisions. Unfortunately, a lot of marketers use that to manipulate an outcome, to engineer a transaction. I was always interested in the transformational leaders who were able to create transformation. Instead of transactions, they created transformation. It was Gandhi, Dr. King, spiritual leaders, Jesus, Buddha, Lao Tzu. They had the same understanding. They knew how people operated, but instead of using that knowledge to engineer a transaction, they’d use it to engineer a transformation. Transformation being a change in the lens that we have on how we see ourselves, other people or the world around us. I dove deep into the study of these transformational leaders, specifically Gandhi and Dr. King, from a practical perspective. As I studied, I started to see that there was a blueprint. There were common things that they each did to use the same skills as marketers, but how to apply them in a way that wasn’t just creating money. It was changing the way that people saw the world and elevating human consciousness in the process. I come back to the beginning, how you open the podcast and talking about the interconnectedness of all of us as humans. Joseph, you get that message. It makes sense. It drops in and you say, “There’s a future here.” There’s something to this and I’m sure you were on the path right then. Was it a smooth ride for you to go from there to here where you are now? Were there some bruises along the way? Many things worthwhile, it can be an agonizing path. Pay attention to that because we sometimes think that our agony is our own as punishment or as something, to say it’s just about us. This is my private hell, my private purgatory. A lot of people sit in that, that wondering and that place of being emotionally weighed down by the challenges in their life, whether they’d been failures at things they’ve tried. We have a lot of people in this community who are pivoting, meaning that they are changing. That’s the great constant is change. What it really was is the challenges that I saw as I saw them as the way. Here’s where I am and then here’s what I see in terms of where I want to go. Then I’ve got this crappy thing that’s happening to me in the middle. If only this thing weren’t in the way, then I would be where I need to be, and I’ve come to learn that often, if not always, which was my belief. The thing that we are dealing with is often the precise way that we will have our biggest contribution. It’s not in the way to it, it is how we’re going to serve and how the impact and reach the goals that are true to our nature. There were two parts of that. One, the first realization was studying and having this blueprint. I worked with a lot of organizations, corporations and so forth and said, “Here’s how you get an idea to spread.” We talk about the principles of social transmission and what makes things go viral. I could train organizations on them and work with them. I saw that the success was hit and miss, not because of the mechanics of it, but because of something that Gandhi, Dr. King and other leaders who followed this blueprint well had, that a lot of leaders that I was working with did not have. That was what I’ve now come to call the element zero. That essentially was that personal power and the conviction that those leaders have. Gandhi and Dr. King were willing to lay their lives down for their cause. Is that that a conviction and a personal power that we have about our business, about our goals? If not, there’s a power that’s absent until we are convicted by what we’re doing and knowing that it’s a part of our purpose, that we arrive at that spot. It was interesting because years ago I was chatting with my assistant at the time and I was explaining how all this work. I said there are three things. There’s actually a fourth element to it, but it doesn’t come after these three. It comes first and it’s this selfless love, it’s this desire to serve and this willingness to just give it all in the service to other people. A few days later, she circled back, and she said, “I want you to tell me about this element zero.” I was like, “What do you mean element zero?” She said, “You said there was a fourth element, but it came before the first one. so it’s called an element zero.” As someone who studied branding and messaging, I thought, “This doesn’t make sense.” It’s a crappy name but there was something about it that really landed for me. In this moment, because authenticity is a buzzword, I pulled back the curtain and I said, “To be honest, things are going crappy.” I said, “I gave this speech, but I’m flat broke. I’ve lost everything. I’ve had to lay off on my team and my life is falling apart and I have no idea why any of this is happening.” I unloaded. When I finished speaking, there were crickets, just nothing. I thought, “I’ve blown this relationship. I unloaded too much. I was way too vulnerable.” Then she spoke, and she said, “Joseph, thank you for sharing.” She said, “I was nominated for the Nobel Peace Prize and since that has happened, my friends and family have put me on such a pedestal. I have felt this imposter syndrome around it. Am I worthy? Do I deserve this?” She shared that she had turned to behaviors that were not serving her and supporting her. It was the first time that she felt that she could share it openly because someone had opened up that space. What’s interesting is the day of this phone call was Gandhi’s birthday. For me, a person whose career has revolved around studying Gandhi and Dr. King, who both won the Nobel Peace Prize, to be having this pivot moment of realizing that the crap that had been happening to me was not happening to me. It was happening for me to open up this opportunity with someone on Gandhi’s birthday who was also nominated for the Nobel Peace Prize was as if the heavens opened and said, “You’re in the right place at the right time and this is precisely how you’re going to serve.” To be honest, there are still days now that I’m feeling the effects, not just of the injury, but of the consequences of it, in terms of recovering financially. Rebuilding my business, learning to adapt my work habits and so forth, but it’s given me this tremendous insight that things can fall apart. That’s not the end, but that’s a greater level of service and contribution that we can give to others. I will take one or two things that I’d like for our audience to focus on. One is the power of questions. One of the greatest things that we can learn is how to ask better questions for ourselves. My own theory about this, it’s what I choose to believe, and share is that you cannot ask a question and not receive an answer. It’s cause and effect. There’s no asking and not receiving. Asking and is given kind of thing. The only thing that I’m not ever certain of is the timing of it. You ask a question, doesn’t mean you’re going to get an answer in the moment. I know it when I ask a question. I don’t always get an answer in the moment. Part of my own practice is to not be attached to having to receive an answer in the moment. My little petulant child can wait, even though it’s tough to wait because we live in a world where we’ve been trained and programmed to wait for nothing. Go back to a different day and age when we didn’t have microwaves, cell phones and things. We waited for things more patiently. That’s not our fault. It’s a part of our human condition. This is a question that you asked that I want to underscore. For our audience, I put this question out into the universe, out to the ether, out to God spirit, whatever you want to say, whatever you believe, so that you can get a better answer. When that answer comes, I don’t know, but this is the question and I’d write it down. I’d put it on the visor of the car, the computer, any place you can see it. The question is, “How can I contribute more or how can I serve more?” I truly agree and believe what you’re saying is so dead on. It’s so accurate that a part of what we’re here to do and part of our own greatest gift that we have insight and what we have to explore and learn is related to our ability and a willingness in our ability to contribute to others to serve. Transformational Leadership: The things in life are not happening to us but they’re happening for us. Often, that’s a great catalyst for change, for pivoting in your business and your personal life. That’s the question. How can I contribute more or how can I serve more? I would love it within our community, that you guys will let us know through Facebook, on the Start My Pivot Community Page and elsewhere, even in responding to this podcast on the Adam Markel website, that you let us know how’s the answer coming along. When you get the answer, what is the answer and did it shock you? Did it surprise you? Is it different than the answer that you’ve gotten to that question if you’ve asked that question in the past? My experience is sometimes you asked that question one year and ask it at another time in your life, everything has shifted. Everything has changed. You may get a surprising answer to that, on some level of fairly obvious question, and yet at the same time it’s so profound in its essence and one that that will change with time. The other thing that you brought up, which is cool, is the idea of challenge. What’s the purpose of a challenge and the connection between challenge and purpose? It reminds me of a book that I love. It’s a Dan Millman book called The Life You Were Born to Live. It’s an older book. It’s early ‘90s, probably around the same time that Covey wrote his book. There’s something great in that book about the fact that oftentimes the challenges that you faced and the connection, so the commonality in the challenges that you’ve faced in your life is a reflection of the work that you’re here to do, and therefore is the purpose in your life. When you work on that challenge, when you are working through that challenge, when you’re seeing that challenge is working for you, not against you, you’re on to something. The big takeaway is that the things in life are not happening to us, but they’re happening for us. Sometimes that can be difficult to believe, and with the questions. Questions are so powerful that. I remember a time years ago, I was struggling with some health challenges and I kept asking the question, “Why is this happening to me?” I remember another mentor of mine said, “Have you gotten an answer?” I said, “No.” He said, “You’re not listening.” I went back, and I asked the same question, but instead of a whiny tone, I asked it looking for an answer. Instead of, “Why is this happening to me?” It was, “Why is this happening to me?” and why is a dangerous question. It can be an endless loop because we can never know. The question is, “How do I use this in service to others?” It can be a very powerful one. I know that at our core we can have this response that life is working for us or life is working against us. When we’re in the throes of discouragement, I experienced a lot of depression through my accident, on the brain injury. Asking a question of, “How can I serve more,” it was not necessarily a healthy question at that time because all it brought up was, “I’m not doing enough. I’m not doing enough.” That subtle shift of, “How can I use this in service to others,” really takes away that assumption of, “I might be doing something right or wrong,” to “How can this be used in service to others?” and it eliminates the judgment. I found that is the core. At our deepest level inside, do we believe that life is for us or against us? Do we believe that we’re for ourselves or against ourselves? That’s one of the core beliefs. If we can look at that, examine that, and do whatever it takes to shift that belief that all things are happening for our good. It’s a matter of understanding how can we transform that? Joseph, what is it that you do if you’ve got some rituals? Our audience knows, but for anybody that’s new to this show, I’ll briefly state this that we use the word rituals, not in a religious sense, but in the sense that it’s something we do consciously. Often, we do at a certain time of the day or each day but there’s ritual to it. It’s sacred and important as opposed to habits, which can be sacred and important, but often are done habitually, unconsciously. We all want to get to the point where we do things well on an unconscious basis. That’s why we don’t have to think about breathing or walking. We do them unconsciously, competently. That’s a wonderful thing to get to. The way that we create that unconscious competence is by more consciously focusing on the things we want to change in our lives, whether it’s to create a ritual around your health, around meditation, around mindfulness, around pausing before you say things, when you’re triggered, whatever the ritual is. Do you have certain rituals that through what could have been a catastrophic time in your life and was a challenging time in your life but clearly didn’t take you out for long? To have a traumatic brain injury and other things that have challenged you, are there certain rituals that you’ve put in place to create resilience, to create anything that you wanted? I am a firm believer in the power of rituals and I was a consistent meditator prior to my accident. After my accident, I would sit down and try and meditate, and found that I couldn’t do it. I did not have that ability even to focus for three to five minutes and it was very disheartening and discouraging. That was a difficult one for me because I knew the power of that ritual and I couldn’t just get into it and it was important for me to do a lot of the therapies and things that I needed to, recover that ability for my brain, from my heart as well. One of the things that fortunately I was able to stay consistent with were my physical rituals in terms of my physical health. Brain injuries are a difficult one because they’re this invisible thing. I look fit and healthy on the outside, from what I could do, but with a very acute sense of what was going on in my brain. Getting back to that place of being able to meditate was a huge one for me. The most important ritual for me is, as a speaker, I show up on stage a lot and they speak in the one ritual that I use when I’m speaking or doing any public event or whatever is turning it over and realizing that when I get here this isn’t about me. The ritual is I’ve showed up, now let this be of service. Essentially, it’s a prayer of saying, “I’ve lived my life, I’ve taken my knocks. I’ve studied, I’ve had adverse, I’ve had challenged. Now let’s use all of that in service to this audience and whether it’s an audience of a dozen people or 1,500 people or more, how do I use this to serve these people here?” I feel that that has been the most powerful ritual in anything, to say, “This isn’t about how good I look. This isn’t about me achieving something or some gold star or receiving any accolade. It’s how can I use this time to serve.” I have seen that the greatest performances as a speaker, the greatest achievements, whether it was as an athlete or in business, all were preceded by how can I use this to serve and turning it over saying this isn’t about me, this is about the people that are going to be hearing, receiving, watching or whatever. When we first met, we had an initial conversation that was a lot in common. Some of the things you’ve shared, that’s been a profound ritual. We have rituals. I have rituals for a lot of things in life. It’s been one of the things that have been quoted as saying that the quality of our life is equal to the quality of our rituals. Whenever I’m going to speak publicly or get on a webinar or do anything, the last thing before I hit the button or onstage or whatever it is, is a phrase that someone shared with me some years ago which is, “Om Namah Ha.” I was told that the translation of it, which is a loose translation means, “It’s not about me.” It’s a beautiful reminder for all of us that when we’re coming from a place of service where our hearts are open and we’re there, whether you’re going to have a sales call, when we have a lot of people pivoting into various things including public speaking. If you’re going to speak to a group of ten people or 10,000 people or you’re going to speak at work or anything. You’re about to get on a sales call or create marketing copy and things of that sort, great infuse all of your communication out into the universe and into all of the people with that energy of it’s not about my ego here. Yes, I have an outcome. Yes, I have goals and there’s no question I want to achieve certain things. At the same moment, to be able to have that goal isn’t one of the ways we could spend hours on this alone. The idea of what it means to attach, to give meaning to a goal or some accomplishment that you want and at the same time, detached from it. It’s about that and letting go of it being about you in that. Yes, great if it happens, wonderful if it happens, but it’s not about you anyway. It’s about being of service or to be about other people. From a speaking standpoint, for one thing, it puts you in the right space, heart space, not headspace, as you start. I’m reminded of one of the powerful truths that have impacted me so much. I’m allowed to say that the words of truth are always paradox. I love this truth that we share, that it’s not about us. In paradox to that, one of the things that I have found as another personal ritual is looking at everything through the lens of it’s all about me in terms of when I’m interacting with other people. Let’s say someone annoys me, to stop and say, “This isn’t about them, this is all about me.” What is it about this thing that’s going on in them that I don’t like or whatever? What is that teaching me about me? Often what we like to ascribe when we call people old souls is pointing to people who have this ritual of reflection, of stopping and asking the question, “What is this teaching me about me?” I get about 15,000 to 20,000 visitors a month to my website through one blog post alone, which is about the quote from Gandhi that we attribute to Gandhi, “Be the change you want to see in the world,” which he didn’t actually say. I wrote this whole article about it and but in, in the article that explains this deeper truth that Gandhi was pointing to, is that everything we see out there is a reflection of what’s going on in here. Probably the most profound ritual, more so than any exercise I can do in terms of meditation or journaling, things like that, is being in that state of reflection of this thing that is triggering an emotion with me, whether negative or positive, is teaching a lesson about me and to stop and ask that question of what is this teaching me about me so that I can use it in greater service to others? I have thoroughly enjoyed this conversation. There’s another old soul concept or book that has some beautiful concepts in it, which is Jonathan Livingston Seagull. There’s a character in that book, a seagull by the name of Chiang and Chiang says something along the lines of, “The moment you decide, you’re already there.” It triggered for me what you were saying, the idea that time, that there’s this collapsing of time and space that things come together. It’s a collapsing of time and space that other people will be listening to it. It’s been a blessing, a joy. Thank you for being a guest on the show. It’s been a gift. Thank you so much. I’m grateful to be a part of it and to connect with your audience. How is it that people can find out more about you and what you’re up to? JosephRanseth.com and I’m on all the social media, Twitter and Facebook. Twitter is my favorite. Love to hear from people if they have any insights, love to hear them, reach out and I’d love to connect there personally. I manage that all on my own. For those who are interested, who have the desire to do something in service to the planet, would love to see you come out to the Global Influence Summit. It’s a beautiful environment where there’s coaching, there’s collaboration, there’s connection. Last year, we had about 150 authors, speakers, coaches, purpose-driven entrepreneurs in the room, just there for that single purpose of saying, “How do we increase our reach? How do we increase certain impact?” The big purpose of elevating human consciousness, transforming the planet for the better. We’d love to see folks there. Everybody, have a beautiful, wonderful, blessed day, whatever you’re up to. Remember, as we began our podcast, we’ll end in the same way, recognizing just how blessed, lucky, and favored we are to be able to take this breath. What I wish for you as I wave my magic wand is that we all get to wake up tomorrow because there’s no guarantee that we all get to do that, so what a blessing it will be that we do. There’s a three-step to the ritual for waking that I love to share. It’s definitely made a profound difference in mine over the last eight years and has had the real honor to share it with so many people around the world. That is you wake up tomorrow, and in that waking moment, that first breathe that you take, you realize you have that realization that there’s something special happening here because there are people right then and there, they’re taking their last breath or that have not woken up that didn’t get that opportunity and therefore there’s some service that you are called to, some assignment that you’re called to. Part one is wake up, part two is be in gratitude and part three, if you’re inclined to do it, is to declare out loud, “I love my life, I love my life, I love my life.” You can try that for at least 21 days and see if it sticks as a ritual beyond that point. I wish you all such an incredible rest of your day or evening. We love you much. If you have not yet subscribed to this podcast, please feel free to do that. Please feel free to go on to iTunes as and leave a review. We love those five-star reviews. If you’ve gotten value, we’d love to hear from you. You can leave us a comment and if you’ve not yet joined the community where this discussion is happening all the time, incredible vulnerability, authenticity, and support, real amazing support that happens on our Facebook community. You can get to the Start My Pivot Community Page by going to PivotFB.com, that’ll give you a direct link to the group. You’ll answer a couple of questions. We curate that group and so there are some amazing, amazing folks there that you’re going to get to collaborate with. Until we connect again, I’ll say ciao for now. Thank you again, Joseph. Joseph Ranseth has been helping individuals and organizations start movements for over 15 years. He has been a featured expert on national television including Fox News, CBS, CTV, CBC etc., in leading industry publications such as Advertising Age, and has been recognized several times by the Huffington Post for using social media to inspire the world. 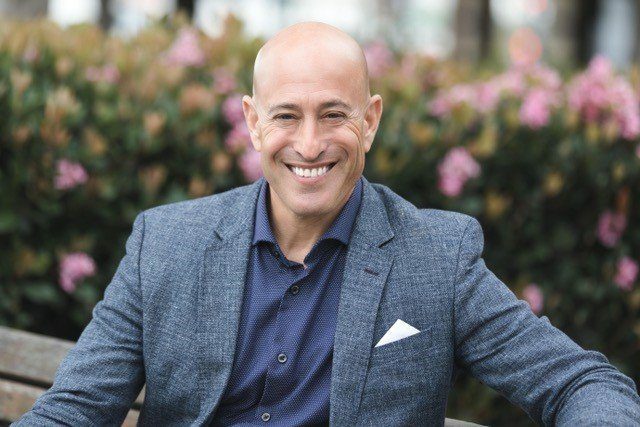 Whether in his best-selling book, on the TEDx stage, as a keynote speaker or a boardroom consultants, Joseph passionately and powerfully shares the principles of purpose-driven marketing and transformational leadership in the digital age. Drawing on the inspiring case studies of those who have shaped history, Joseph shares the precise three step blueprint these great leaders have used and guides audiences on how they can create movements of their own. Joseph is the founder of Vine Multimedia, a digital marketing agency with a social purpose. Designed with social benefit in mind, Vine’s business model allocates a significant amount of time to helping non-profit agencies and returns company profit back to the community either directly or through social awareness campaigns. Joseph also shares his expertise in teaching PR & Marketing at the University of Winnipeg. An active volunteer, Joseph believes that the best way to change the world is by starting locally. He sits on committees for several local charities, including the United Way of Winnipeg. He is on the board of directors for the National Autism Association in the U.S. and several local charities in Winnipeg. His favorite volunteer role, however, is that of Big Brother. Living on a small farm just outside of Winnipeg in an almost off-grid home that has no television or internet, Joseph enjoys spending time with his wife Tricia and their beautiful daughter Winter.